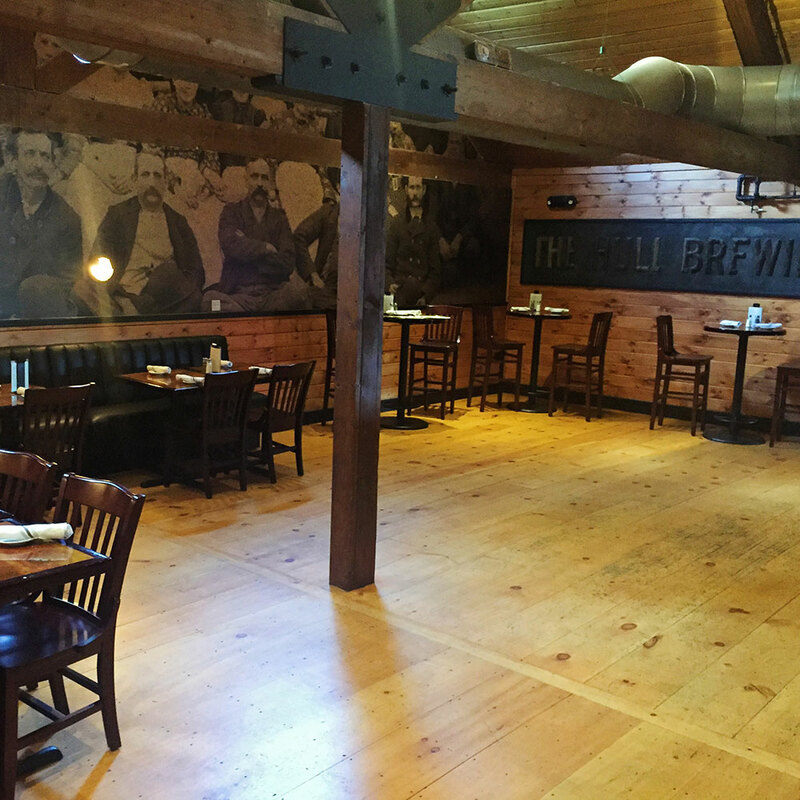 Book your next holiday, business or social event in our new private events room! Our Private Events Room is Open! 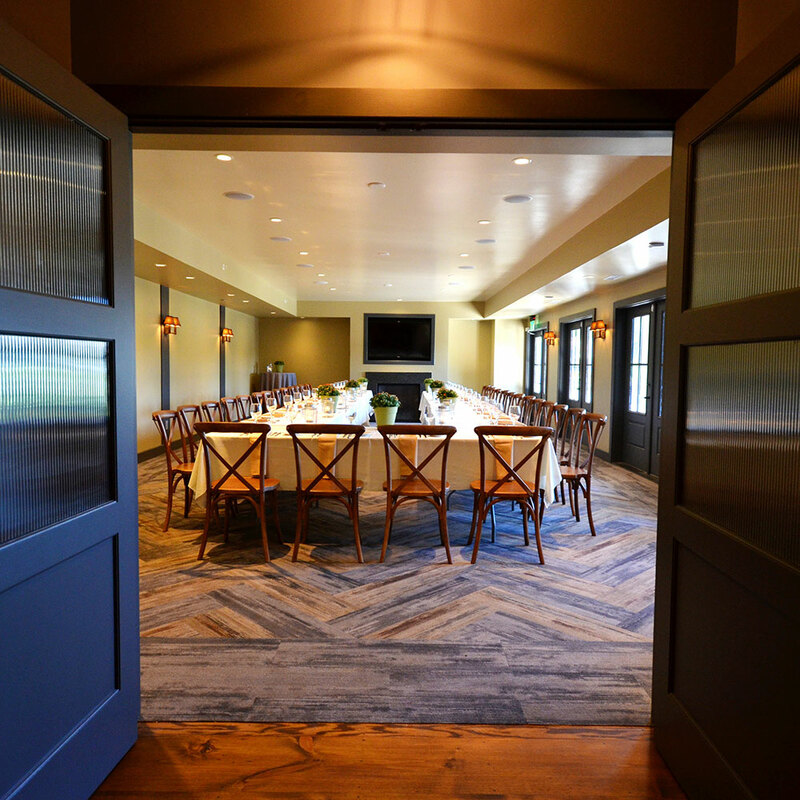 In addition to our private events room, we also have several semi-private spaces available for events throughout our restaurant. See below for details and capacity. No matter what your vision is, our staff will work with you to plan the perfect event, from a relaxed happy hour cocktail party to a formal four-course dinner! Email Stephen Cappabianca for availability and details at scappabianca@scotchplainstavern.com. 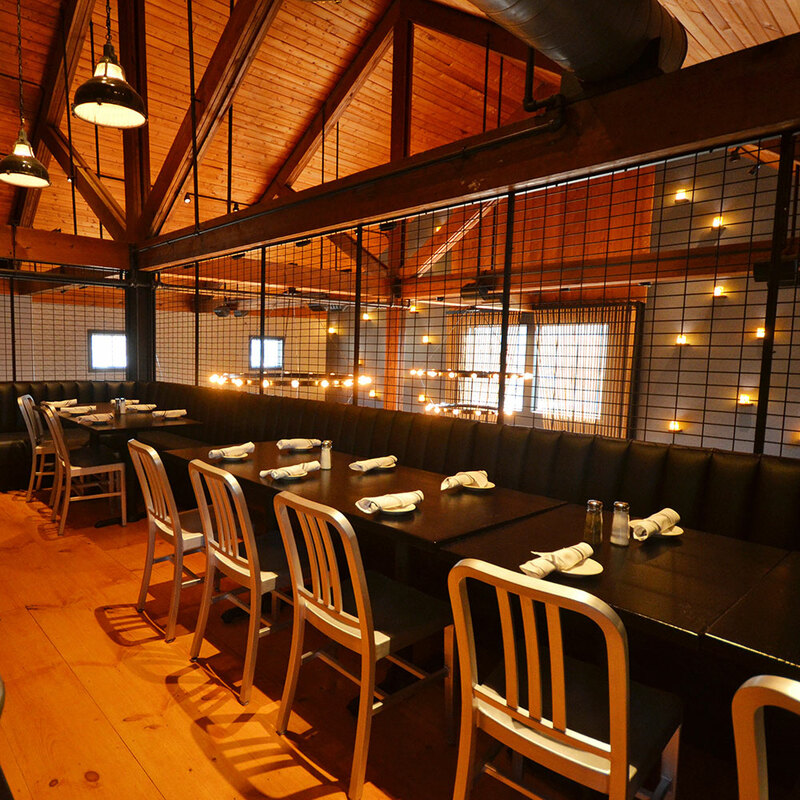 Our beautiful new light-filled space is perfect for rehearsal dinners, showers, birthday parties, bus tours (heading to or from Ivoryton Playhouse or Essex Steam Train) and more. 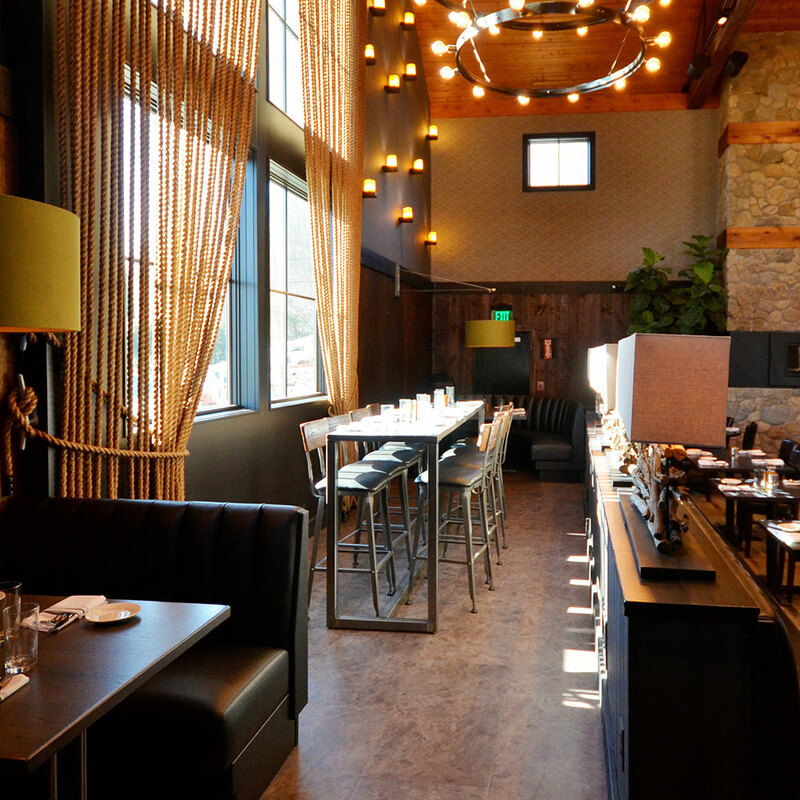 It seats up to 60 people comfortably or if you’re planning to mingle without seating, we can fit 80 -100 people. Upstairs near the action of the bar, but in its own separate space, The Cage is a great spot for smaller groups. With its design inspired by vintage elevators, The Cage, as its affectionately known, seats up to 20 people and is perfect for intimate gatherings. The 400 Section, which is the area between the bar and the game room, is our largest space outside of our private events room. This space is in the heart of the action with great views of the TVs for those sports-minded groups. It seats up to 35 people, but if you’re looking to mix and mingle there’s room for more. It’s a great space for everything from larger birthday parties to happy hour mixers. The sleek table in front of our feature window is a perfect spot for those who would like a quieter ambiance for good conversation. It seats 8 people, but we can also include the booths on either side for separate, but additional seating (up to 11 more). This area has been great for girls’ night out, or add the round booth for the kids to make it a family affair!